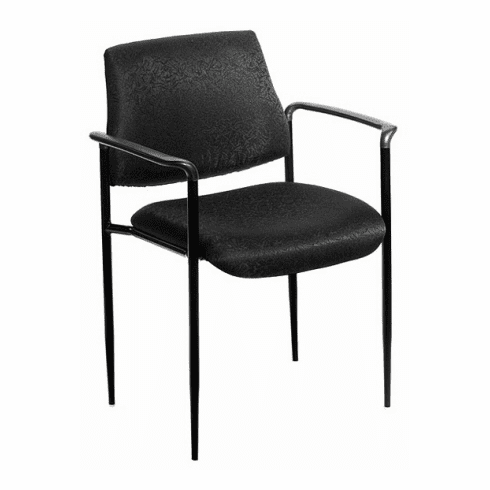 This contemporary upholstered stacking chair from Boss Office Products features a sturdy tubular steel frame with tapered legs and molded arm caps. Other features include a waterfall seat edge to help reduce stress on the legs and foam padded cushions upholstered in your choice of four different commercial grade fabric colors or black vinyl. This chair can be stacked up to (4) high and ships ready to assemble. Dimensions: Seat Size: 18"W x 18"D. Seat height 18"H. Overall: 23.5"W x 23"D x 30.5"H. Weight: 18 lbs. Fully warranted by Boss Office Products. These stacking chairs normally ship within 2 business days from our GA or CA warehouse.